Mt. Juliet, Tenn. – Mt. Juliet Police investigators are trying to identify a man who used a stolen credit card. 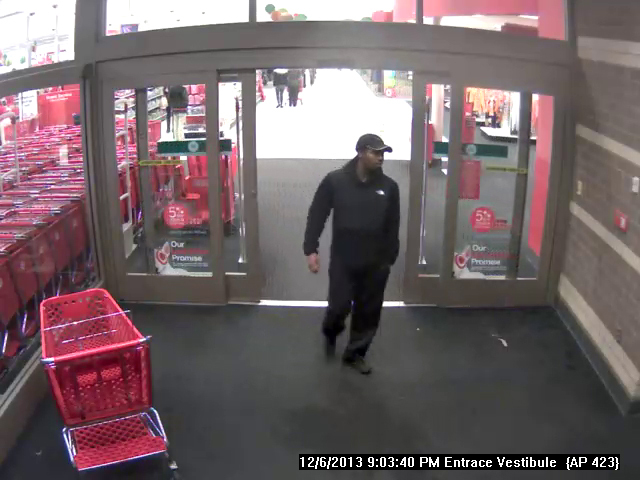 On December 6, 2013 the unidentified suspect purchased over $600.00 in merchandise with a stolen card from Best Buy in Mt. Juliet. Later the suspect attempted to use the stolen card at Target, but was unsuccessful. 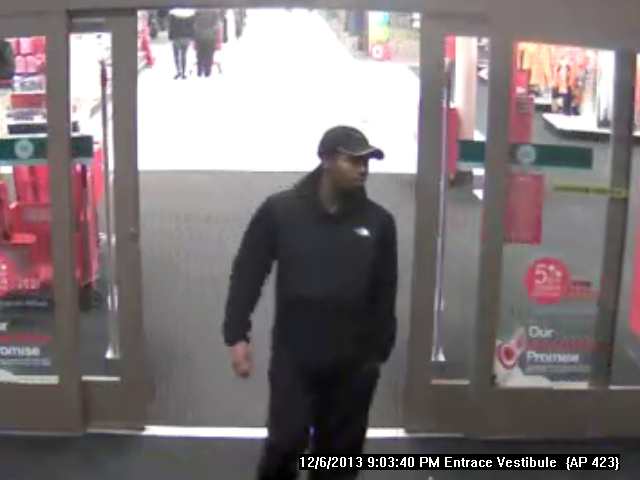 Target’s surveillance system captured the suspect entering the store. The suspect appears to be a black male, who is around 25-40 years old, 6 foot tall, and having an average body build. Investigators hope someone in the community will recognize this suspect from the surveillance photos.